This Valve Removal Tool is for removing the SP3308 Valve that has a nut with two flat sides. Valve Removal Tool For removing the SP3308 Valve that has a nut with two flat sides. This wasn’t really fit for purpose. 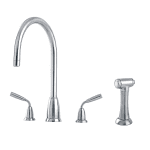 I had to change both cold and hot valves from an Ascona tap. On first arrival, I thought the ‘working edges’ of the tool looked a bit compromised, as if spoilt by previous use. On doing the job, the tool just about functioned for the first (cold) valve, but entirely failed with the next (hot) one. The tool was rather a lose fit, and the material not really resistant enough, so it gradually was eaten into by the well-embedded valve. I’ve had, now, to go out and buy a replacement mixer, wasting the cost of valves and tool, but perhaps have learnt some kind of lesson. It might be that the tool wasn’t, after all, entirely suited to the valves fitted (although looking correct on first inspection) but there was no way of knowing before utter destruction! 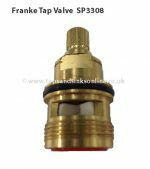 I am sorry that you did not have a good experience but if you had contacted us when trying to remove the valve we would have been happy to assist you and advise you regarding the removal of your own valve. 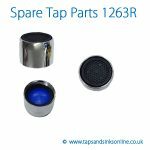 We would have asked you to send us pictures of your valve / tap to ensure that you had the correct tool for your tap. It’s also impossible to know whether or not the valves had been rounded due to attempts to remove previously. You don’t say how old your own valve (tap was). The Tool you would have received would have been new as we don’t supply second hand parts in any instance. This tool is only designed for the earlier Valve 3308R and not the later Valve 3794R (as stated on our website). This Tool comes from the manufacturer of the Tap that has this 3308R valve and is specifically designed to remove the valve. We have never had any complaints before regarding the tool wearing after removing only one valve as this tool is designed to be used over and over again. 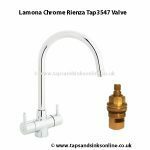 If you did have the earlier 3308R valve then another possibility is that your own valve was stuck inside your tap due to environmental factors like limescale, as just one example, which can cause a valve to be steadfastly stuck and difficult to remove. Had this been the case we would have advised you as to what to do. Also I don’t know if you were removing / turning the tool in the correct direction as you could have been tightening the valve further rather than loosening it (should be anti-clockwise). I have just checked a sample of the tools myself and they fit the valves so we do not understand why you had any issues with it. I should also state that we have never had a complaint regarding the tool. I’ve recently purchased the valve removal tool as my tap was dripping. 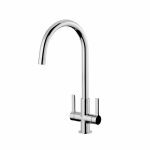 It didn’t fit at all which was very frustrating seen as though the had to wait a week for it to get to me and I still don’t have a working tap I’ve looked at the picture and it even has the type of valve I have in my sink in the picture and it still doesn’t fit! Do you have any other types of valve removal tools if not I will obviously have to buy a new tap which I would rather not do. My tap is only 3 years old as we moved into a new build so I can’t see the age been a problem. Even the picture of the fittin doesn’t match the one I’ve been sent it’s more of an oval shape than rectangle which my valve looks more like. 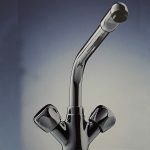 Like I said if you do have another solution to removing the valve please let me know as I’ve been trying with grips and adjustable s and due to how to valve is fitting in the tap I can’t get it out with out this ‘removal tool’. 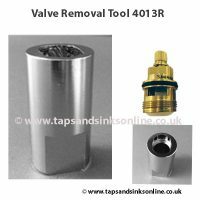 the valve removal tool 4013R comes from the manufacturer of the tap and is designed for the 3308R valve – which has two flat sides, unlike the later mini valve 3794R that has 6 sides. If you have the 3308R with the two flat sides and you cannot remove the valve with the tool then I would recommend that you call in a plumber as this is the only tool. I have just bought and fitted hot and cold valves plus spout seals using tool to remove old valves. I read previous reviews and was concerned I was going to have problems. Tool was well made and I was able to change valves and seals without any problems probably because of soft water in my area. Only giving review to balance opinions.